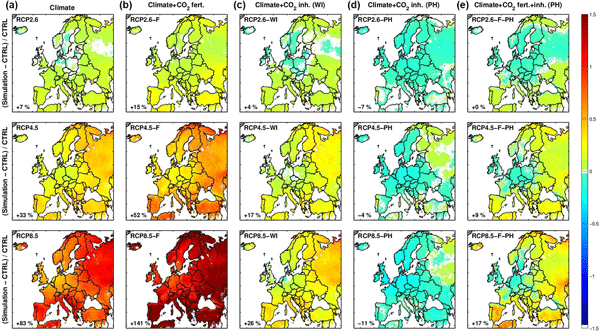 Biogenic isoprene fluxes are simulated over Europe with the MEGAN–MOHYCAN model for the recent past and end-of-century climate at high spatiotemporal resolution (0.1°, 3 min). Due to climate change, fluxes increased by 40 % over 1979–2014. 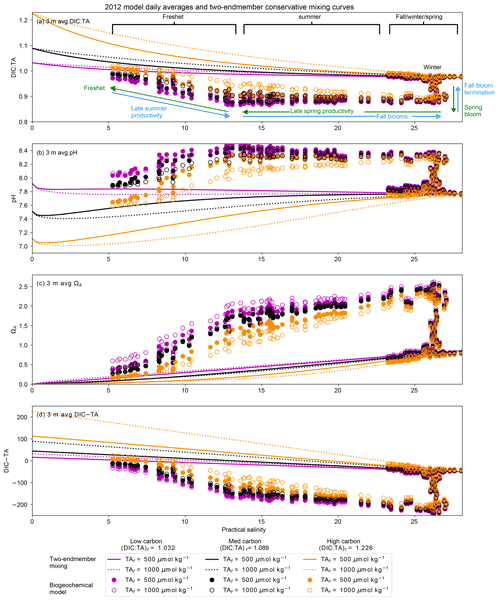 Climate scenarios for 2070–2099 suggest an increase by 83 % due to climate, and an even stronger increase when the potential impact of CO2 fertilization is considered (up to 141 %). Accounting for CO2 inhibition cancels out a large part of these increases. 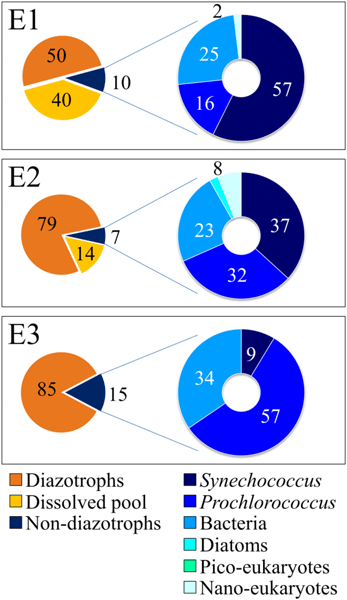 To compare variations in physiological responses to pCO2 between populations, we measured growth, POC and PIC production rates at a pCO2 range from 120 to 2630 µatm for 17 strains of the coccolithophore Emiliania huxleyi from the Azores, Canary Islands, and Norwegian coast near Bergen. 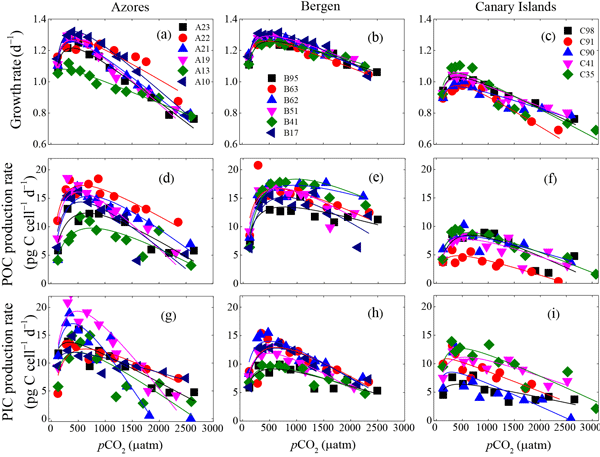 Optimal pCO2 for growth and POC production rates and tolerance to low pH was significantly higher for the Bergen population than the Azores and Canary Islands populations. We report the seasonality of net ecosystem–atmosphere CO2 exchange (NEE) in a temperate evergreen broadleaved forest in Sydney, Australia. 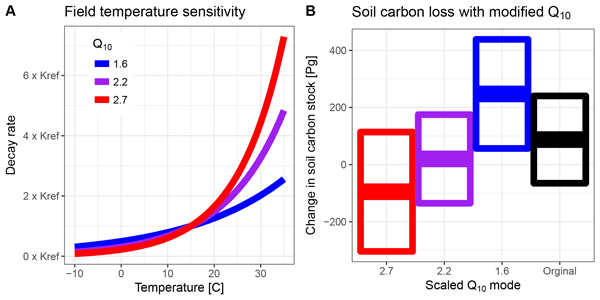 We investigated how carbon exchange varied with climatic drivers and canopy dynamics (leaf area index, litter fall). We found that our site acted as a net source of carbon in summer and a net sink in winter. 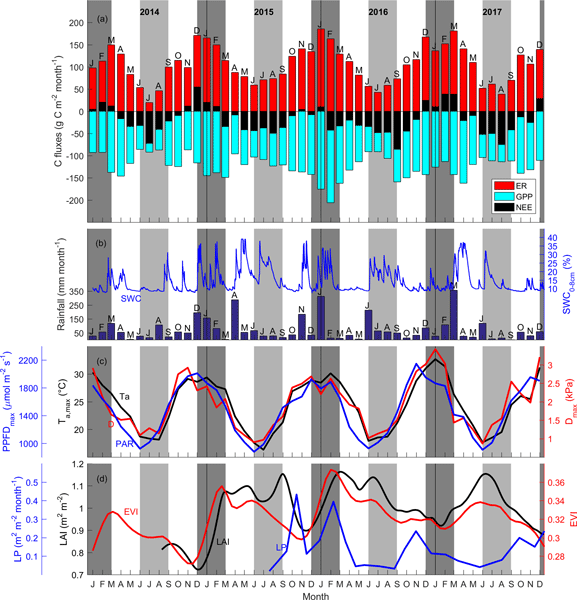 Ecosystem respiration (ER) drove NEE seasonality, as the seasonal amplitude of ER was greater than gross primary productivity. 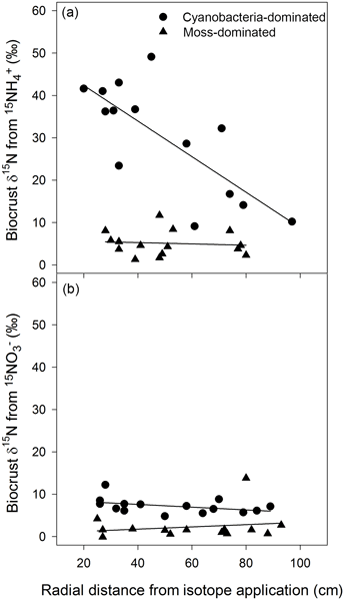 Invertebrate species of the Gullmar Fjord (Sweden) were exposed to four different treatments (high/low oxygen and low/high CO2) and respiration measured. 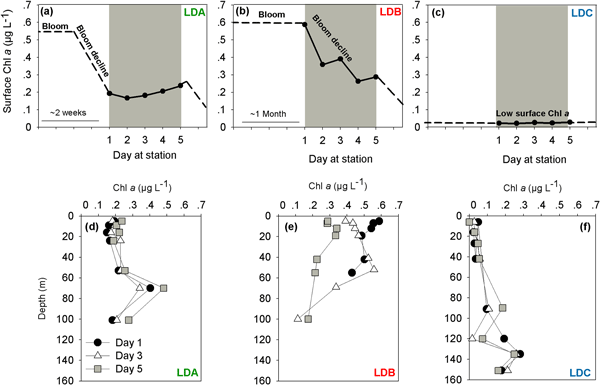 Respiration responses of species of contrasting habitats and life-history strategies to single and multiple stressors was evaluated. 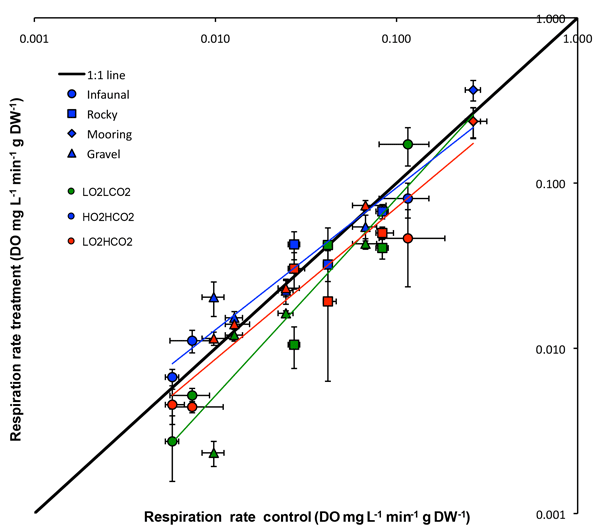 Results show that the responses of the respiration were highly species specific as we observed both synergetic as well as antagonistic responses, and neither phylum nor habitat explained trends in respiration. Estuaries are vulnerable to ocean acidification, but present-day estuarine pH and aragonite saturation state variability are larger than in the open ocean. 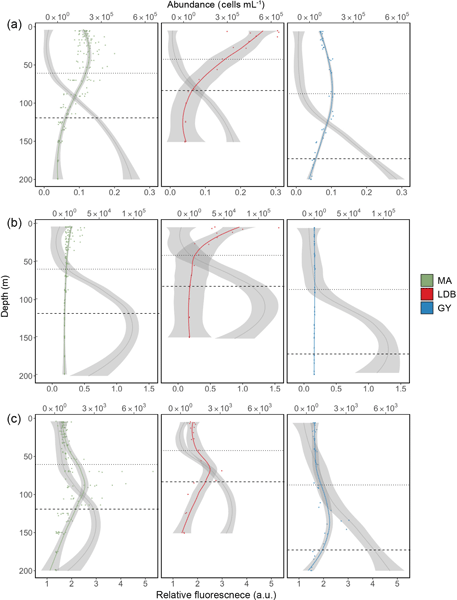 Using a numerical model of a large estuary and data from its primary river, we find that changes in river alkalinity relative to river carbon may determine a small but significant portion of this variability, while the majority is controlled by photosynthesis/respiration. Future watershed changes may shift the river alkalinity–carbon balance. 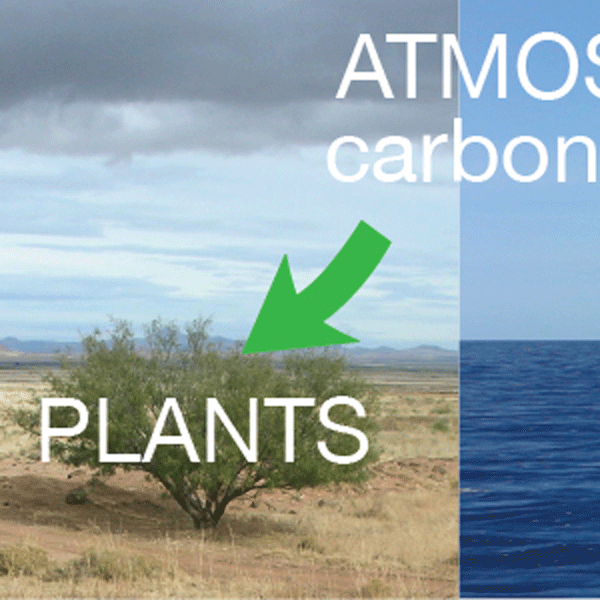 To better understand why atmospheric carbon dioxide has changed over the course of Earth's history, we analyze carbon dissolved in the ocean in a state-of-the-art model. While primary producers in the surface ocean are important to the global carbon cycle, the carbon in the ocean and atmosphere are not in equilibrium in most places, and our results indicate that the degree of this disequilibrium, which has previously been largely ignored in similar studies, could be just as significant. The deep ocean is the major store of heat and carbon in Earth's surface environment and thus has a major impact on climate. Waters that fill the deep ocean come from the North Atlantic and the Southern Ocean, but there is debate on their relative importance. 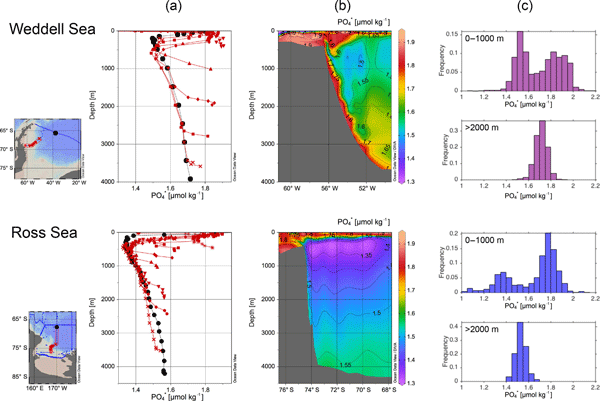 Here we reconcile previous estimates using deep sea phosphate and oxygen data. 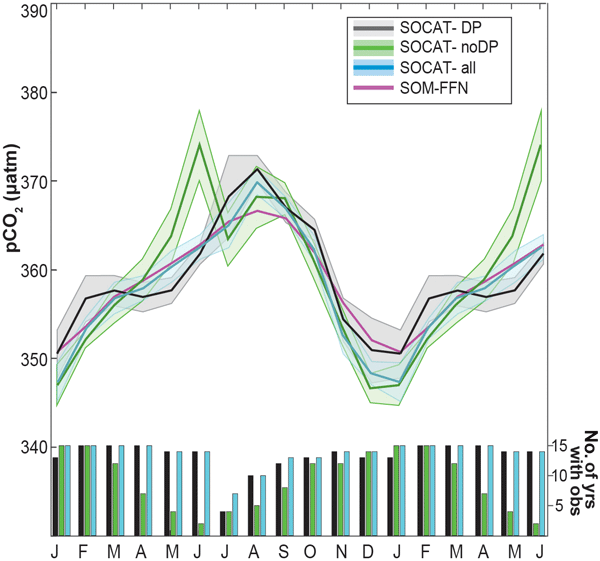 We show that although a large volume of deep water comes from the south, this does not spend enough time in the southern surface to fully exchange heat and CO2. We systematically assessed the transport and fate of riverine carbon in the moderate-sized Wuding catchment on the Chinese Loess Plateau by constructing a riverine carbon budget and further relating it to terrestrial ecosystem productivity. The riverine carbon export accounted for 16 % of the catchment's net ecosystem production (NEP). It seems that a significant fraction of terrestrial NEP in this catchment is laterally transported from the terrestrial biosphere to the drainage network. The way marine organisms die can determine the fate of organic matter (OM) in the ocean. 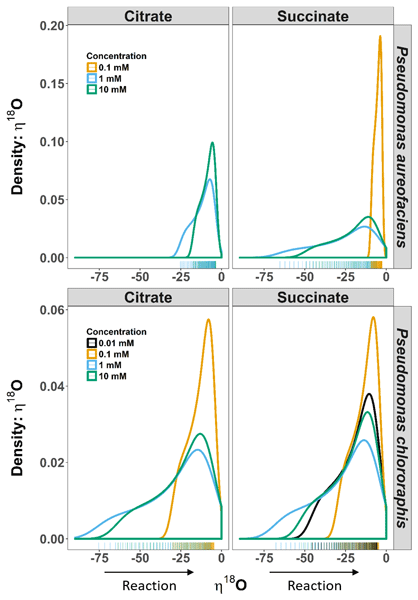 We investigated whether a form of auto-induced programmed cell death (PCD) influenced phytoplankton mortality and fate of OM. Our results from high biomass blooms of the cyanobacterium Trichodesmium show evidence for PCD and high production of sticky carbon material termed transparent exopolymeric particles (TEP) that facilitates cellular aggregation and enhances the vertical flux of OM to depth. We report the distribution of major nano- and pico-plankton groups in the western tropical South Pacific. We found microbial community structure to be typical of highly stratified regions of the open ocean, with significant contributions to total biomass by picophytoeukaryotes, and N2 fixation playing a central role in regulating ecosystem processes. Our results also suggest a reduction in the importance of predation in regulating bacteria populations under nutrient-limited conditions. In this study, we systematically analyze leaf wax derived n-alkane patterns in eastern Georgia to test their potential for paleoenvironmental reconstructions in the semi-humid to semi-arid central southern Caucasus region. 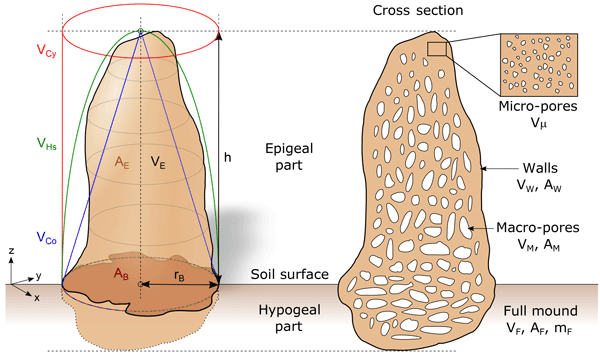 We investigated the influence of vegetation types on the leaf wax signal in modern plants and topsoil material. Our results show distinct and systematic differences in the n-alkane patterns between vegetation types and prove their potential for vegetation reconstructions.